Union Railways Minister Suresh Prabhu Flagged off Kurukshetra-Mathura Express called ‘Gita Jayanti’ train from Kurukshetra railway station. Along with this, the government also announced to provide complete modern facilities for Kurukshetra railway station like VIP lounge, lodging facility etc. Rajasthan High Court has struck down the Special Backward Classes reservation given to Gujjars and 5 other communities of the state. This decision was given by the division bench of Justices M N Bhandari and J K Ranka holding that special reservation cannot be beyond the permissible 50%. 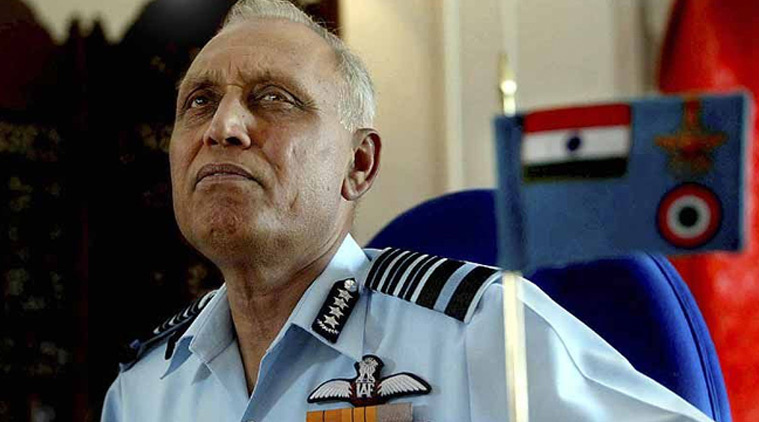 Central Bureau of Investigation has arrested former Indian Air Force Chief retired Air Chief Marshal SP Tyagi in an investigation into allegation of bribery and impropriety in the 560 million euro deal to buy helicopters from AgustaWestland which was cancelled in 2014. India’s Industrial output contracted 1.9% in October this year mainly due to the extreme decline in production of capital goods and poor performance of manufacturing sector. Union Minister for Information Technology Ravishankar Prasad launched the Digidhan Abhiyan campaign to enable all citizens, small traders and merchants to adopt digital payments system for everyday transactions. They will be educated on how to download and use these systems and a channel has also been launched called the Digishala TV channel. Maruti Suzuki has collaborated with Ola to train driver partners under the Maruti Ola Training Program which aims at training nearly 40000 drivers over the next 3 years. SBI’s executive committee has approved disinvestment of 3.9% stake in SBI Life Insurance company Ltd to KKR and Temasek which equals to 39 million shares at a price of Rs 460 per share. Rabi Crops have been sown in 472 lakh Hectares till date. wheat has been sown in over two crore 25 lakh hectare. Over one crore 21 lakh hectares have been covered by pulses. India has been ranked 7th in the Global Terrorism Index released by the Institute for Economics and Peace, a Sydney based think tank. India recorded 289 terrorism related deaths in 2015. Human Rights Day was observed on 10th December to commemorate the day in 1948 when the United Nations General Assembly adopted the Universal Declaration of Human Rights. The theme for this year was ‘Stand up for someone’s rights today!’. China Launches a new cargo service connecting Tibet to Nepal via rail and road with a train covering a distance of 5,200 kilometer between Guangzhou and Xigaze in Tibet and the rest 870kms covered via trucks. Akufo-Addo, the main opposition leader in Ghana won Presidential Election beating current President John Mahama by 53.8 percent to 44.4 percent. Canada’s government has approved a deal with 8 of the country’s provinces to introduce the first national carbon price where carbon pollution would cost C$10 a tonne in 2018, rising C$10 a year till it reaches C$50 in 2022. It also announced that it would phase out use of coal-fired electricity by 2030. Peter Gilchrist from Singapore beat Sourav Kothari to win the Billiard Title of 2016 IBSF World billiard Long up. The event was held in Bengaluru. 1. When was Human rights Day first celebrated? 2. Which digital payments campaign was launched by Ravishankar Prasad to enable citizens to adopt this method of payments for transactions? 3. Who won the 2016 IBSF World Billiard Long up title? 4. CBI has arrested which retired IAF Chief in allegation of corruption in the 560 million euros Helicopter deal with AgustaWestland? 5. What is the name of the special train launched as Kurukshetra-Mathura Express? 6. What is India’s rank in the Global Terrorism Index this year? 7. Who has won Ghana’s Presidential election?